It has been a long time since we had a Multi-Function unit on the bench. 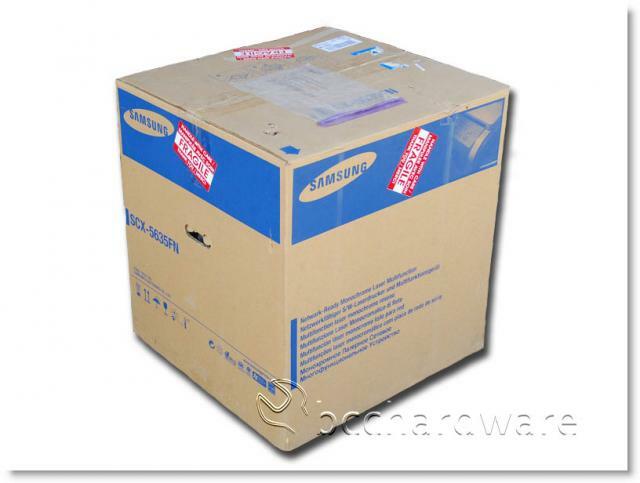 The last product we took a look was the SCX-4521F, also from Samsung. This unit was a bit smaller than the SCX-5635FN and even though it has pretty much the same features as the larger unit we're looking at today. This unit brags up to 35 pages per minute and has a high enough duty cycle to replace a leased copier from a small office. It is certainly no replacement for a busy office machine, but I wouldn't be surprised if this could easily replace a large unit in many small offices without any loss in production. 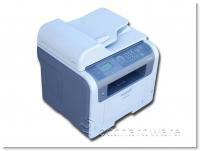 The SCX-5635FN functions as a copier, printer and a fax machine that can duplex any of the above and output high-quality copies at 1200dpi. It can scan to a device on your network or to a USB drive plugged into the included USB port. It has the ability to be configured by a very intuitive menu system using the on-board display, or even though a web interface. Before I get too involved, let's take a look at the machine and see how it shapes up. The feature list on the SCX-5635FN is pretty large and this matches up nicely with its size. It's quite a bit unit that will require more room than a standard fax machine or your typical small-medium laser printer. 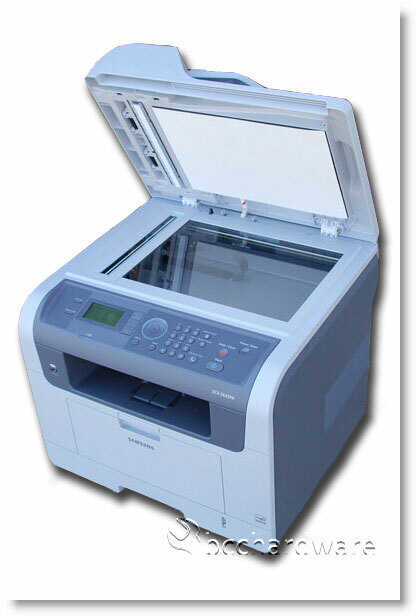 It has a similar footprint to a CLP-600N laser printer - which is a beast. The Multi-function comes with everything you need to get started and keep going for a while. Samsung includes a software CD for the printer/scanner support, a starter (4,000 page) toner cartridge with a 10,000 page cartridge available. 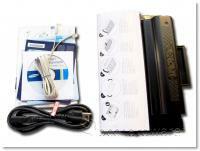 Also in the bundle is a quick install guide, power cable and a phone cable. One thing I really like about higher-end multifunction printers is the ability to use the Automatic Document Feeder on top or use the regular flatbed scanner. Unfortunately the SCX-5635FN doesn't have an expandable hinge so think objects like books will be a bit more difficult to scan. With that said, let's head on to the next page and take a look at the features and specifications before we continue.